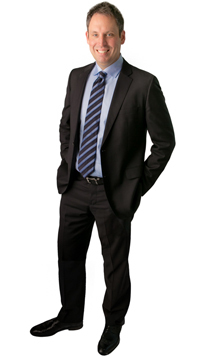 Brennan Kahler is the founder and principal lawyer at the Kahler Personal Injury Law firm in Toronto. Brennan has spent his entire career representing injured people and their family members. Over the course of his career, Brennan has helped his clients recover more than $100,000,000.00 in personal injury compensation. Brennan has successfully argued and enforced the rights of injured people at all levels of court, including the Ontario Superior Court of Justice, the Divisional Court and the Ontario Court of Appeal. A graduate of Toronto’s’ prestigious Osgoode Hall Law School, Brennan has been privileged to lecture to other lawyers and health care professionals about issues concerning personal injury law. He has spoken and written articles presented at conferences organized by The Law Society of Upper Canada, The Ontario Trial Lawyers Association, the Advocate’s Society, the Atlantic Trial Lawyers Association and The Insurance Bureau of Canada. Brennan also speaks to health care professionals at public hospitals and rehabilitation clinics throughout Ontario. Brennan is also a published author. He has written articles appearing in leading law texts and journals on topics including jury trial preparation and strategy, motor vehicle insurance law, no-fault benefits, recovering future health care costs and recovering damages for injured children. Judges, in their written decisions, have quoted with approval from articles which Brennan has written on the topic of trial advocacy. Brennan is a member of the Law Society of Upper Canada, the Ontario Trial Lawyers Association, the Advocates Society and the Ontario Bar Association. Brennan Kahler is one of Ontario’s leading plaintiff personal injury lawyers.